Nose: very light, with some vanilla and white pepper. Sandbiscuits in the oven. On the background some cogna-like notes. Not bad, but lacks a bit dept hand complexity. Taste: Refined sugar. Not the fermenting sugarcane we find in so many cachaças, but a soft and sweet taste. Some wet slate on the palate as well. Finish: light sweetness. This may be aged in wood, but the wood influence is very hard to trace? On the back of the tongue some mineral notes. Overall, this is a well made cachaça with no off-notes whatsoever…but then again, nothing extraordinary that pops up either. Remarks: Terra Brazilis is trademarked by Companhia Muller De Bebidas in Sao Paulo; a company that also produces and/or distributes mineral waters, fruit juices, wine, whisky, vodka, etc… But especially known for the famous industrial 51 cachaça. 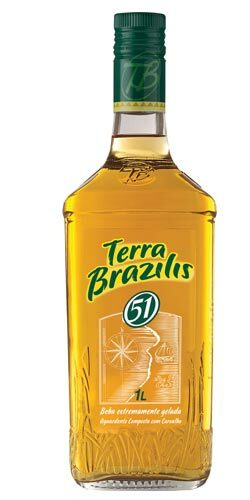 Their Terra Brazilis 51 cachaça is aged, but it is not indicated for how long or in what kind of casks. Nose: loads of caramel, with some clove, verbena, black peper. A fresh, salty airbreeze too. After a while comes the vanilla and some lighter fruity notes. Strawberry icecream. Coffee, tobacco and even some maple syrup. With water more pepper and wood. Fresher too…like a shower of rain after a warm day. Taste: Punching alcohol and dark brown molasses with overripe dark red fruits. Confirms the nose. Adding some water makes it a bit sweeter. So this might be 17 yo…the influence of the wood isn’t all that big. Finish: Now the wood finally starts to kick in. Sweet becomes a little bitter (to get sweeter again). Mediumlong to long finish, nicely balancing between the sweet notes of the rum and the bitter notes of the wood. Add some water and you get some old leather in the aftertaste. Albion, or the confusion between a still, a distillery and an estate. Another iconic Guyana Demerara still is the so-called Albion still. The Albion still was a metal Savalle still from the former Uitvlugt Estate. In the nineteen seventies only three distilleries continued to distill rum in Guyana: Enmore, Diamond and Uitvlugt. The Uitvlugt Distillery was closed down in 2000, whereupon the Diamond Distillery remained the only distillery in Guyana. 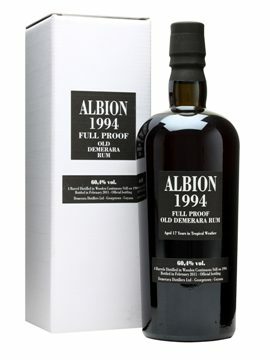 But strangely enough: rum bottler/importer Velier mentioned on its Albion 1994 rum that it was produced in a Wooden Coffey still. So either they made a mistake, or the ‘Albion’ on their label doesn’t refer to the still that has been used, but to the cane, that might have been from the Albion sugar estate. Albion is a town in Guyana, and home to the largest sugar manufacturer in the Caribbean region. And to complicate things even more: this estate is not to be confused with another Albion Sugar Estate…in Jamaica. This is a very strange rum in oh so many ways. On the nose it’s Pisang Ambon all the way. Green bananas and loads of vanilla. In the mouth: green bananas again..but where the hell is the alcohol? This is ever so smooth and soft. Really: this seems like an alcohol free beverage. But at 40 abv, it’s dangerously smooth. In the empty glass: sandalwood and dry eucalypt (like in a sauna). Not bad at all, but it misses punch and, well yeah, alcohol. So let’s spice things a bit up. This one is vanilla, honey and flowers: rose and potpourri. Sweets and fresh sugarcane. No bitterness whatsoever. Oh, and a whiff of ginger too. Again rather smooth. Is this really 52 abv? Mdium long finish. Nose: starts on a strange combination of earthy notes (wet earth) with a little minty freshness. On the background plays some heavy dark molasses with a floral perfume. Butterscotch. The high alcohol volume doesn’t really show in the nose. Mineral too: flintstone. In fact: this is a rather shy and closed nose. After a while comes some very light sulphur that actually brings some depth to the whole. Cherrybonbons with a subtle smokiness. Adding some water brings some more vanilla and black pepper. Taste: strong alcoholic now, with loads of wood. Starts on a very short sweet note to become rather bitter. This is way to overpowering. So let’s ad some water to this rum. With water: more fruity now. Some light exotic fruits (passion) and unripe plums. Gets less bitter. Finish: rather bitter but very long and drying. Even a slightly metalic note. At the end the bitterness makes way for some softer and sweeter aroma’s. 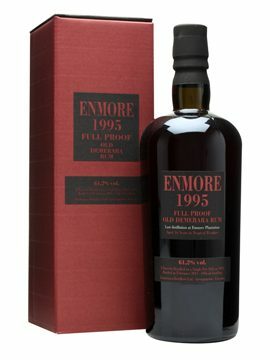 Remarks: 1995 was the very last year of distillation at the Enmore Estate. So another reason why this is drinking history ! Expect to pay (if ever you still would find a bottle like this!) a good 140 euro. The Enmore still: almost 135 years old, but still alive and kickin’ ! Once upon a time, more than 380 sugar estates were producing rum in Guyana. Nowadays, there’s only one rum distiller left in the country: Demerara Distillers Limited. But luckily enough, DLL owns a couple of the old stills, used in long forgotten times. Indeed, some of the stills are well over 200 years old. One of those rare and wonderful stills is the so-called Enmore still: the last surviving still of the Enmore Distillery that was founded over 200 years ago. The Enmore still isn’t just “a still”. It’s the last fully working wooden continuous Coffey still in the world. It is similar, or maybe even identical, to the very first continuous still constructed and patented by Aeneas Coffey in 1832! 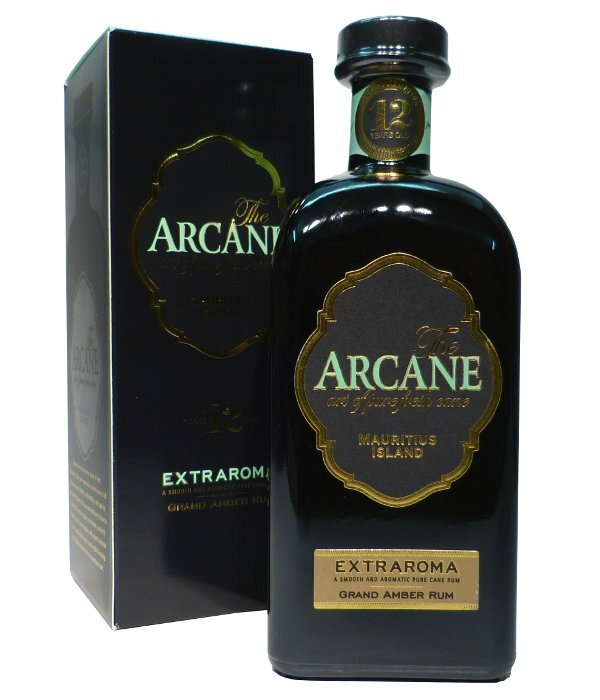 Since 1880 it has been producing a medium bodied rum with a nice, fruity aroma. Its unique flavour is attributed to the wooden structure of this very tall still. DLL uses rum from this still to blend into the El Dorado rums. Tomorrow however, we introduce you to a very unique rum: a vintage rum from 1995. This special cuvee is composed of 8 old barrels from the Enmore still in 1995.